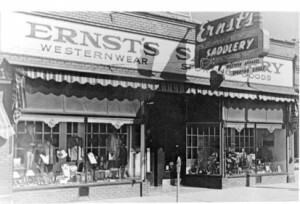 Started in 1902 by Otto F. Ernst, the saddle and harness shop required help from the entire family. 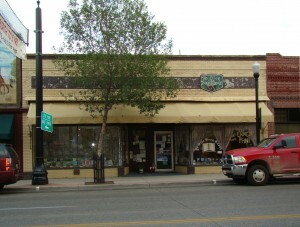 In 1908 the business began its time at this location where the family business remained until 1976. With the rise of the automobile, Ernst thought the days of saddles and harnesses were numbered, so he converted a part of the building into a vulcanizing and re-treading plant and became a distributor for Diamond Tires. 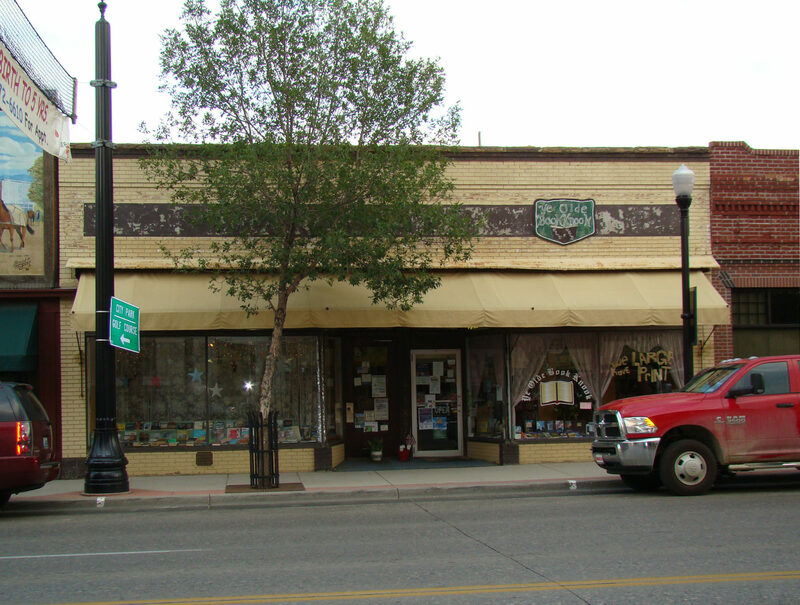 He featured the largest stock of automobile tires and accessories in Wyoming. In 1924 the tire business was discontinued, and he went back to catering to the traditional saddle and harness business with western clothing and sporting goods being added to the stock. 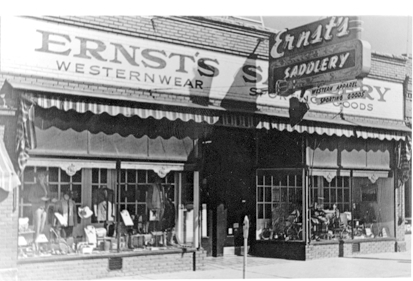 For years Ernst’s Saddlery drew ranchers, tourists, and dudes into its atmosphere of an old time saddle shop.